As I’ve mentioned in previous posts, I’m not really one for the mushy-gushy-sappy romantic chick flick sort of film that is stereotypically associated with people of my gender. If I like a love story, it’s either depressing or action packed. This one is both. 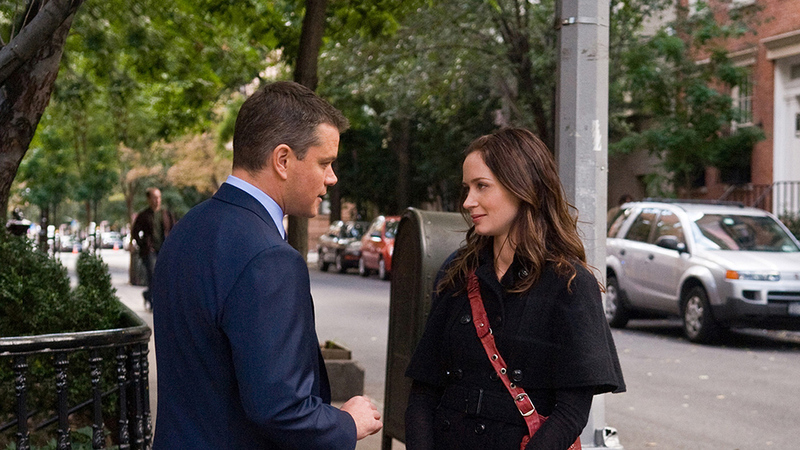 Emily Blunt and Matt Damon steer this non-stop, sweet-hearted love story past through a maze of unfortunate circumstances and a question of the existence of free will. Throughout the film, there are some mushy-gushy sort of themes like “love conquers all,” or “never give up when you’ve got your heart set on something,” or whatever, but it’s definitely on my list of must-see-movies, and it will definitely get you to Christmas. All you need is a hat. Tags: 55 movies to get you to christmas, adjustment bureau, emily blunt, joy writes things, matt damon, the adjustment bureau | Permalink.